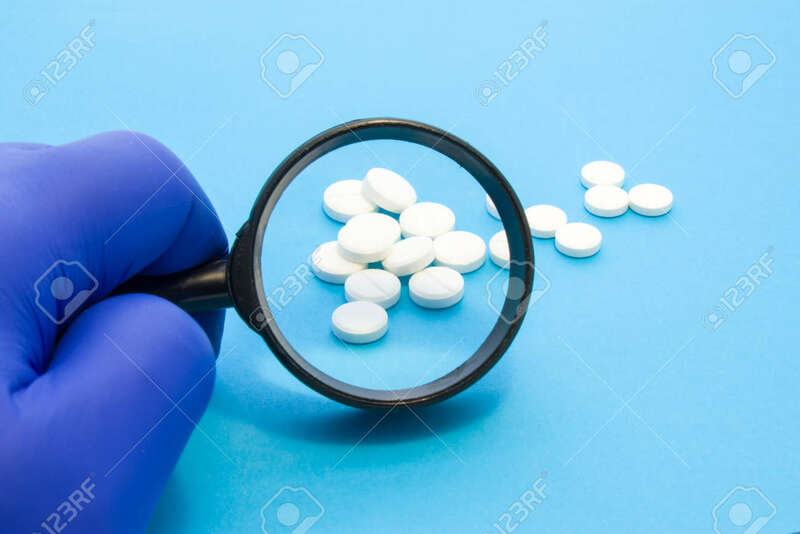 Pharmacist Or Expert On Pharmaceutical Inspection Identifies Pills. Testing, Verification And Determining Pharmaceutical Counterfeiting Or Fakes Of Medicines And Medicinal Substance Quality Concept Royalty Free Stok Fotoğraf, Resimler, Görseller Ve Stok Fotoğrafçılık. Image 118411120.